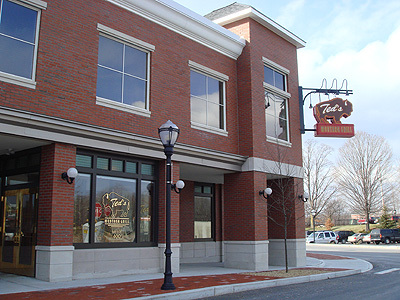 In Westborough’s new and extremely pleasant shopping center (right downtown) is Ted’s Montana Grill. From reading it’s website, it is a chain of restaurants owned by Ted Turner and it’s mission is fresh food and to be environmentally friendly. I loved the inside, it looks old even though it’s brand new. 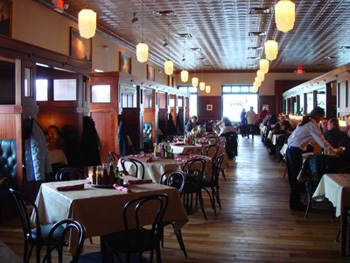 The combination of dark wood, tin ceilings and tasteful lighting make it a classy looking place. Our waiter asked us if we had been there before and when we said we had not, he explained Ted’s from it’s mission to it’s practices and then the specials. Part of the missions is being environmentally friendly, as he explained they use “earth friendly” paper straws instead of plastic – and they work just as good! The fish sadnwich was very good. 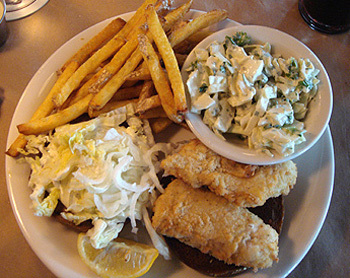 The fish was fried in a light batter and the handcut fries were really good. They could have eased up on the mayo in the coleslaw but it was good too. 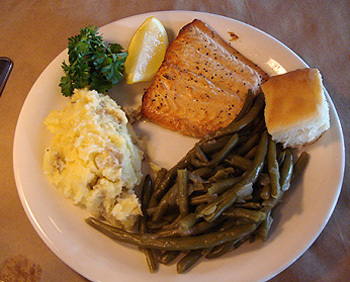 Ethan got the salmon with mashed potatoes and green beans which he said was good too. 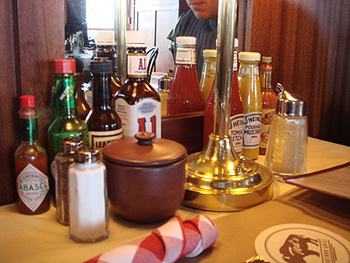 On Ted’s Menu there is a wide variety of options to choose from as well as burgers and all of their burgers are available as beef or buffalo meat. This a really great place to have in the area and I’ll definitely be back to try some other dishes. Just adding in my two cents, as I loved this place. 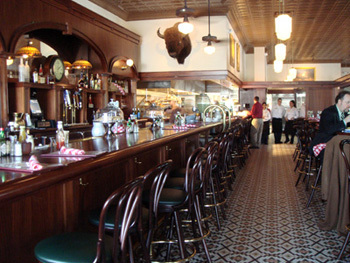 Had my first bison burger, which was awesome, and the atmosphere is incredible. I will be back and would highly recommend as well.